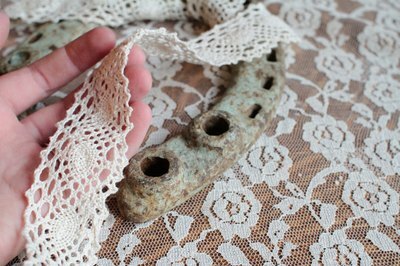 With some imagination and creativity, used horseshoes can be transformed into myriad crafts for decoration and practical use around the house. Most horseshoe crafts can be simply glued together using a metal bonding glue, but having welding skills can add more staying power to your horseshoe creations. 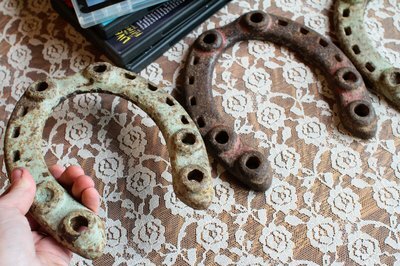 After gathering your used horseshoes, start by de-nailing them and giving them a good, thorough clean. Used horseshoes can be easily made into party favors that are perfect for birthday parties and weddings with a rustic, country or cowboy theme. Wrap each horseshoe with ribbons, twine, jewels, gems and other decorative accents. At your local craft store, you can find countless styles of ribbon, beads and accents. Using heavy card stock in the color of your choice, write a personalized message to each guest. Notes can be attached to the ribbon or twine or glued directly to the horseshoe. Using heavy-duty metal glue or your welding skills, you can create a multipurpose organizational system that can hold magazines, DVDs, CDs or act as a mail sorter. Increase or decrease the number of horseshoes based on what you are making. To make a basic media organization rack, lay three horseshoes next to one another on a flat surface and glue or weld the touching sides. To create the end supports, glue two horseshoes to both ends facing upward. You can glue the horseshoe supports either open end up or rounded end up, depending on your preference. Another option is to glue another horseshoe in the middle of the rack to create additional compartments. Horseshoes can be used creatively as dreamcatchers to hang as decorations. 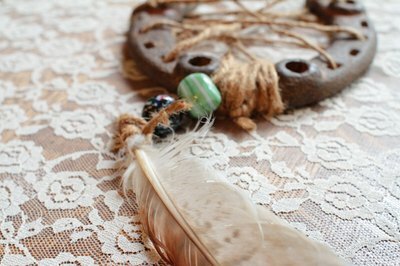 Dreamcatchers are Native American spiritual decorations believed to ward off bad dreams and spirits. To make a horseshoe dreamcatcher, gather natural or synthetic materials such as bark, feathers, leaves, shells, beads, twine, ribbons and gems. Wrap the inside of the dreamcatcher with fishing wire to create a weaving pattern and decorate according to your personal style. In-depth directions can be found on the Mitchell Public Library’s website. 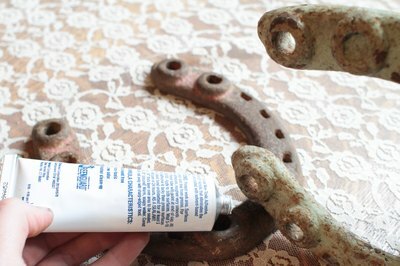 Used horseshoes can be glued or welded together to create a hook to hang things such as coats and towels. Horseshoe hooks are made by laying a horseshoe on a flat surface. Decide whether you want the base horseshoe to face upward or down. Glue the second horseshoe to the bottom, front portion of the base horseshoe. Be sure to glue the second horseshoe on the curved middle and leave the open ends free to act as the hooks. The second horseshoe will face toward you, either placed wide, across the base horseshoe, or lengthwise, up and down on the base depending on where you want the hooks to be.